Hop on over with your little chicks to the Mama’s Minerals Easter Egg Hunt at our Albuquerque location! Kids will find eggs filled with Mama’s Minerals goodies: tumbled stones, colorful beads, and million year old fossils and minerals. Meet the Easter Bunny and live bunnies from the House Rabbit Society. Have your face painted and take home 8 new rock, fossil, and mineral treasures! 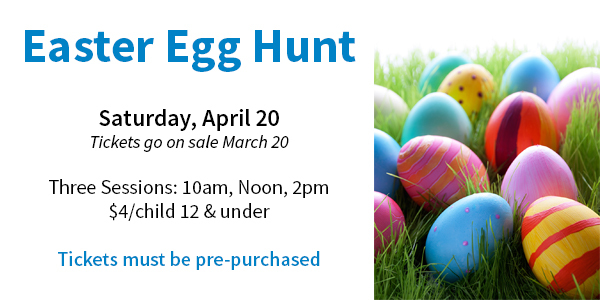 Egg hunt is open to children 12 and under, and parent / guardians must be present for children to participate. Four outdoor sessions, at 10:00 am, 12:00 pm, 1:30 pm, and 3:00 pm. Space is limited. You must pre-purchase event tickets, $4 per child. Stop by Mama's Minerals ABQ or call us at (505) 266-8443 to purchase tickets.